The CW’s version of John Constantine, played convincingly by Matt Ryan, made an appearance on Legends of Tomorrow last night in an episode titled Daddy Darhkest. Let’s just get this out of the way: Legends of Tomorrow is not a good show, by any stretch. In fact, I’m sorry to say, the entire Arrowverse has become unbearable to me. I abandoned Legends fairly quickly into its sophomore season, and it wasn’t long before I jettisoned the Flash as well. I stuck it out with Arrow the longest, but I dropped it as well in the end. They all suffer the same malady, I’m afraid: bad, clichéd writing and lifeless acting. All it took for me to tune back in was everyone’s favorite chain-smoking streetwise exorcist. The story was solid enough: Damian Darhk’s daughter is in a mental institution (nice nod to John’s visual inspiration there, Sumner Asylum, calling back to one Gordon Sumner, aka Sting) and possessed by the demon Mallus (voiced by the always brilliant John Noble). When Mallus name-drops Sara Lance, John calls on the crew of the Waverider and off we go. There were some good visual effects, some nice graphic design with the inscribed Solomon Circle, and the like. Matt Ryan has got the charm to pull off Constantine well enough and I enjoyed both his flirtation with Citizen Cold and his hook-up with the equally sexually fluid White Canary, especially with the Zombies’ Time of the Season for accompaniment. This episode, much as Matt Ryan’s Arrow guest spot did, once again underscores the missed opportunity to breathe new life into a Constantine television series. I was a fan of the short lived FOX effort, even though I felt the premise was a bit daft and setting all wrong. It still worked because it had a solid lead and great visuals. The fact of the matter is, DC has mismanaged Constantine as a character for a while now, pretty much since the original series took a bow with its 300th issue. Subsequent comics have been poor reflections of what made Constantine innovative and brilliant. The TV version comes bloody close, but I still clamour for a more steady dose of Johnny Con-Job. With an animated series on the horizon from CWSeed, perhaps we’ll get something to scratch that devilish itch. More Matt Ryan is never a bad thing, even if its just his voice carrying the load. How ’bout that? Bloody terrific, no? 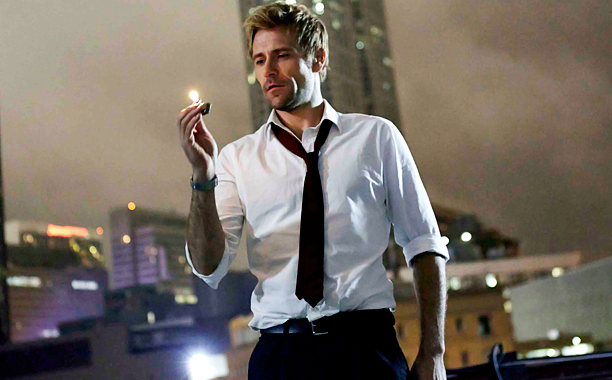 Earlier I’d posted the news of NBC giving a series order for the adaptation of DC Comics’ Hellblazer, John Constantine. I believe the words I used were ‘cautiously optimistic’. Well, they’ve gone and screwed that all up. I’m now somewhat over the moon based on that trailer. What’s right about it? Let’s get the obvious out of the way. He looks right. He sounds right (well, he’s got a bit more of a Welsh accent, but close enough). The tone is right. The effects are right. Has anything screamed “occult detective” better than this? If I didn’t know better, I’d say these cats have been peeking in on my friend Will Wright’s Credo the Series and The Ritual short. Okay, so it takes place in New York, ala CBS’ modern-day Holmes series. But why pick at nits? 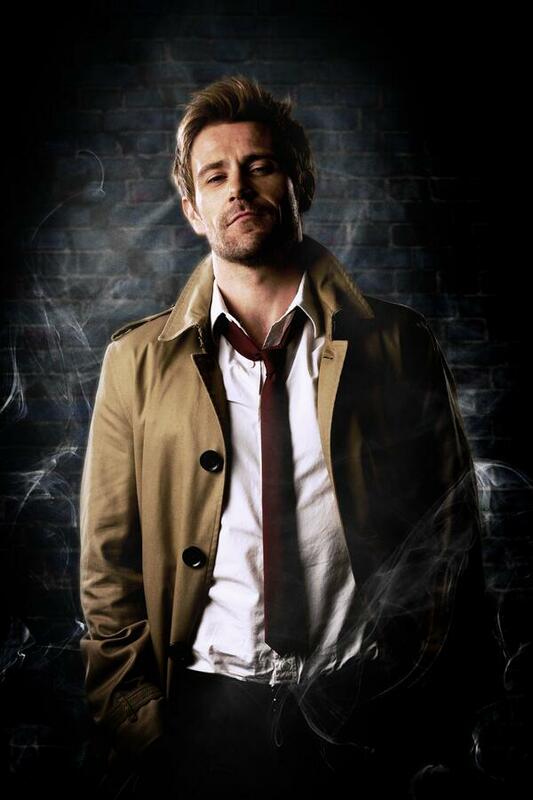 This is some edgy stuff and Matt Ryan is nailing Constantine. The only thing not making it perfect is the lack of a fag hanging from his lips in every shot. Look, I know we haven’t seen the pilot yet, but based on the above, I dare say, I’ve a new favorite series looming. It looks that damned good. Colour me shocked… and pleasantly so. and only he knows how to deal with it!